To be released on cassette, CD and digitally on 4/20/18. TAPE VERSION: C70 – white tape on chrome stock with black imprints. 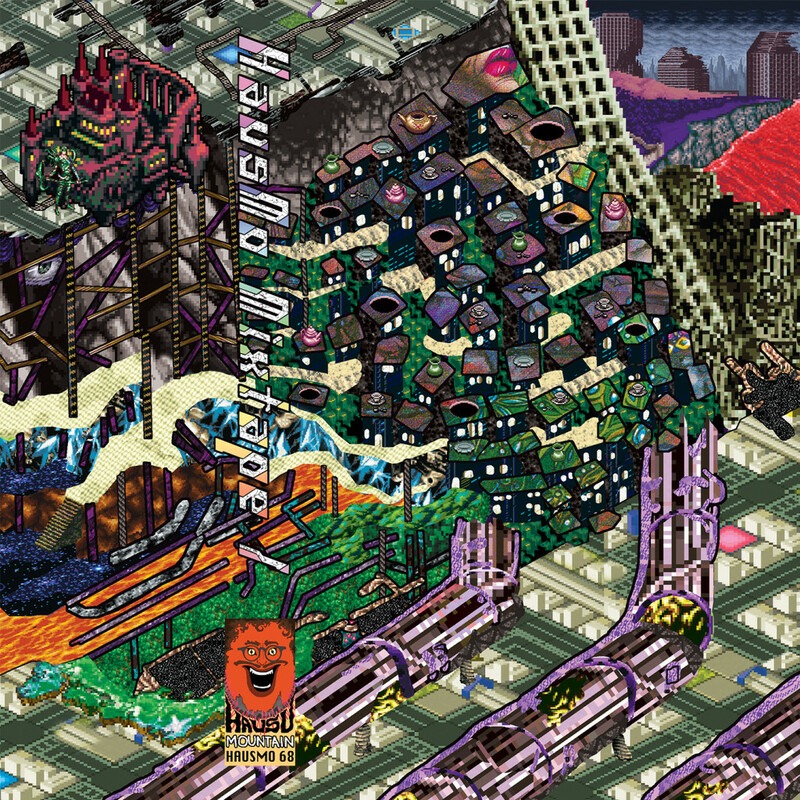 2-sided 4-panel J-Card with artwork from HausMo Max. 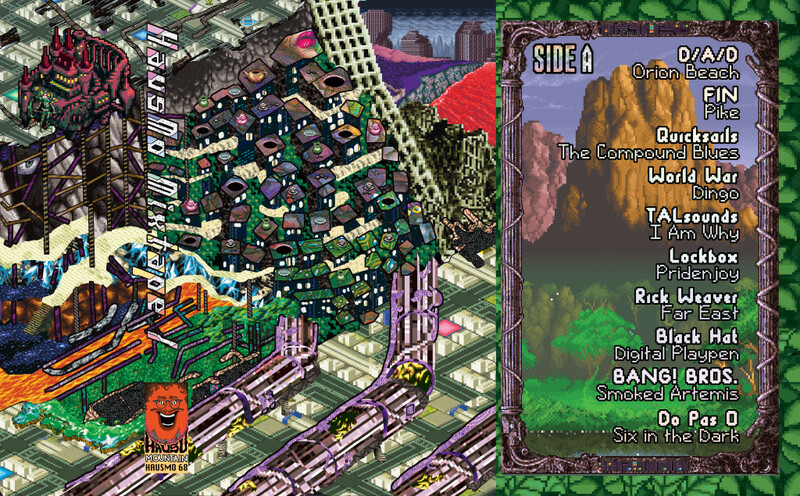 CD VERSION: packaged in a mini-gatefold-LP-style jacket with artwork from HausMo Max. We’re celebrating the first five years of HausMo with a mixtape culling from the depths of our catalog!!! With one tentacle threaded through the US noise underground and one ear fixed on a worldwide online network of freak-friendly minds, the Hausu Mountain label has pumped a diverse menu of experimental music from its volcanic peak at a steady clip since 2012. Founded in Chicago by musicians and roommates Doug Kaplan (who records as MrDougDoug) and Max Allison (who records as Mukqs), the label originally served as a home for their own projects, including the trio Good Willsmith. 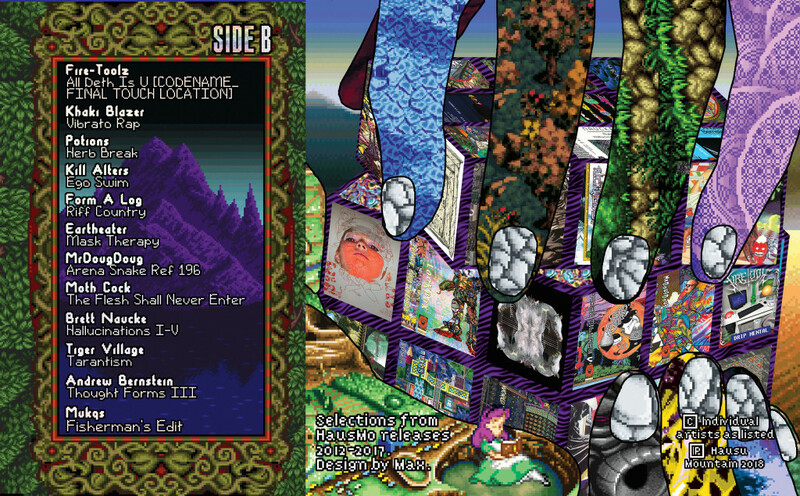 As Kaplan and Allison discover new projects from touring the DIY circuit and scraping through the strangest corners of the internet, the label’s wide catalog grows to encompass everything from otherworldly synthesizer composition to frantic beat production in the IDM tradition to strains of free jazz infused with electronics alongside horns or drums – onward through any number of genre-bending mutations you might find in the “?? ?” or “Avant/Noise” bin in your local record store. As much as Hausu Mountain’s releases diverge in terms of style, the label’s aesthetic hinges on the conception of music as a force to both challenge listeners and entertain them in equal measure. Any given release resists stasis, skips at will through disparate musical vocabularies, and leads listeners through dense sonic narratives that defy expectations as each new idea or unpredictable juxtaposition pierces through the cosmic jelly. 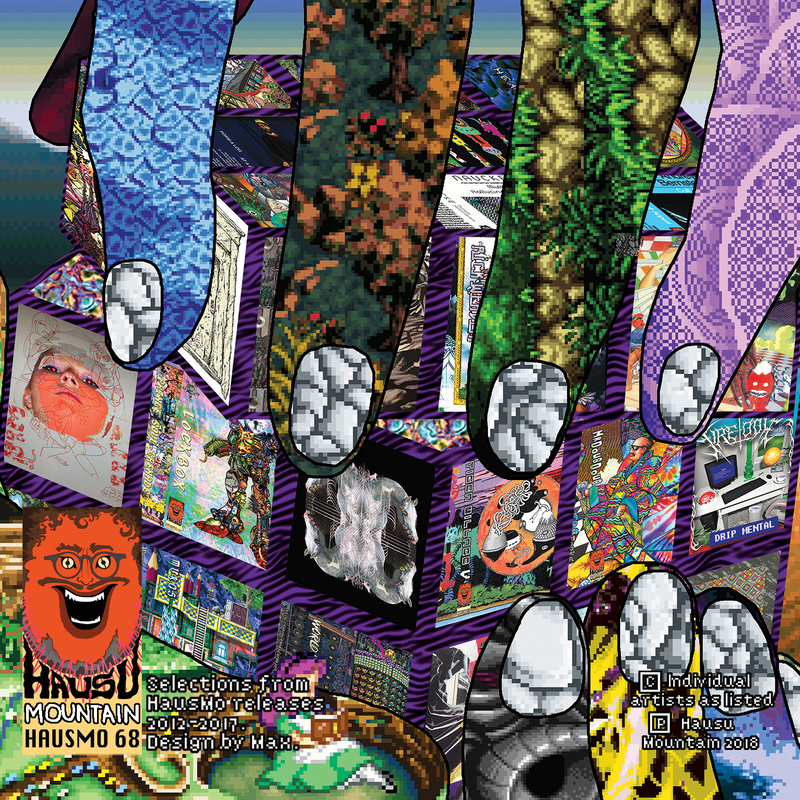 Doug and Max run Hausu Mountain out of their home, assuming duties themselves in designing album artwork, preparing audio in post-production, shipping physical media, and publicizing releases. In an era of faceless promo bots and automated blog write-ups, Doug maintains a pranksterish, often surreal social media presence, blasted out to followers with a few winks in the form of nonsensical email newsletters and meme-heavy Twitter barrages. 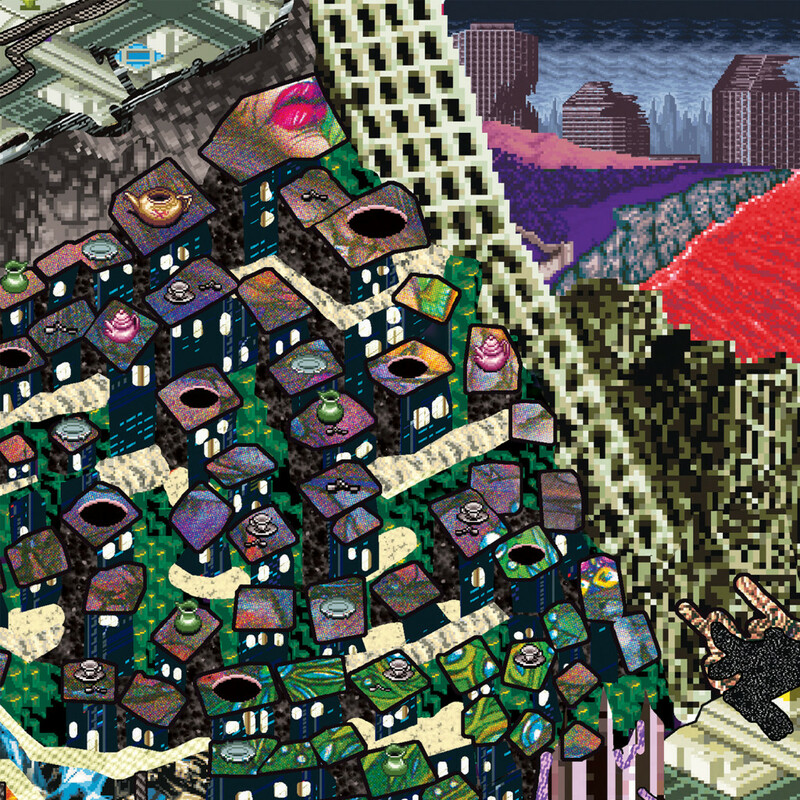 Max’s vibrant album art has evolved alongside the label itself into a hodgepodge of interlaced visual styles, weaving video game and manga imagery into complex digital mosaics of clashed textures and colors. His art most frequently adorns the cassette format, which the label favors (along with vinyl) as the most hi-fidelity, aesthetically pleasing medium to deliver music to their audience. While Hausu Mountain tapes and LPs leap out at listeners with monstrous eyeballs and pixelated fractals, the visuals can only hint at the sounds stored inside those objects. The psychedelic quest to nullify one’s ego in the face of some overwhelming experience sits on one side of the label’s spectrum, while the other side seeks to champion the idiosyncrasies and imperfections of each artist – amplifying the strangest, most adventurous, most honest facets of their personalities into musical forms that no one else saw coming.